Today, 26th June 2017, marks the UN International day in support of victims of torture. It is an opportunity to invoke the non-negotiable nature of the prohibition of torture: that conscious cruelty cannot be sanctioned, no matter the circumstances. Torture is a calculated act of brutality that degrades us all. 31 years ago today, the CAT (Convention Against Torture) came into force and is signed by 161 countries worldwide. Yet not a single country abides by all the terms of the convention and since Trump alleged that “torture absolutely works”, discourse has been monopolised by discussions around its efficacy in fighting terrorism. The reality is that torture is used to crush, repress, subjugate and break people, and impacts on subsequent generations, leaving long-lasting psychological, physical and existential scars. Whether it “works” or not is a dangerous narrative. As UN Special Rapporteur on Torture, Nils Melzer reminded us, we can safely say that human cruelty, violence and degradation all “work”, that slavery, genocide, “work” but by no means can this be used as an argument to justify them. Turning a blind eye to torture equates to being complicit in its horrors. As well as holding state and non-state actors to account for torture, the UK must examine its own conscience: its complicity in sending people to be tortured in black sites and for using intelligence gained through the euphemistically-named “enhanced interrogation techniques” of coercion. The UK also has a history of torture to reckon with: in Northern Ireland, in Cyprus, in Kenya. We have a duty to provide rehabilitation for survivors of torture yet survivors are routinely detained in immigration removal centres and denied access to medical and legal services while their asylum claims are being processed, or if their asylum claim has been refused, despite this being unlawful. The procedure that is meant to regulate and prevent the detention of torture survivors is Rule 35, set out in Chapter 55 of the Immigration Enforcement Instructions. Rule 35 aims to prevent the detention of those who may have been subjected to torture, in addition to being ‘at risk’ due to health-related issues. However, torture is difficult to prove: whilst some survivors of torture bear the physical scars, for those who experienced psychological torture, were raped or electrocuted, these scars are invisible. Medical evidence is routinely disregarded, as outlined in Freedom from Torture’s 2016 report ‘Proving Torture‘. 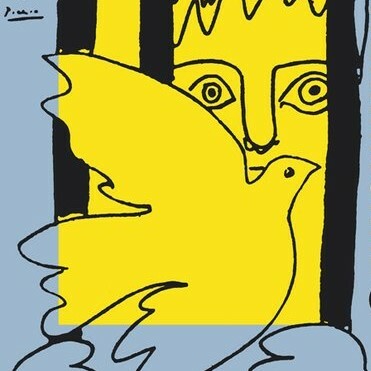 It is impossible to isolate the impact of torture from the challenges people face losing all that is familiar, crossing borders and then conditions met with upon arrival in the host country – which, in our UK experience, criminalise and re-traumatise a person and are anathema to therapeutic healing and rehabilitation. The fight to eradicate torture on a global scale and facilitate timely, meaningful rehabilitation for survivors must include the voices of survivors themselves. Now more than ever, we have to stand up against rhetoric that seeks to justify the use of torture and stand strong to create a just world, a world free from torture, inhuman and degrading treatment.